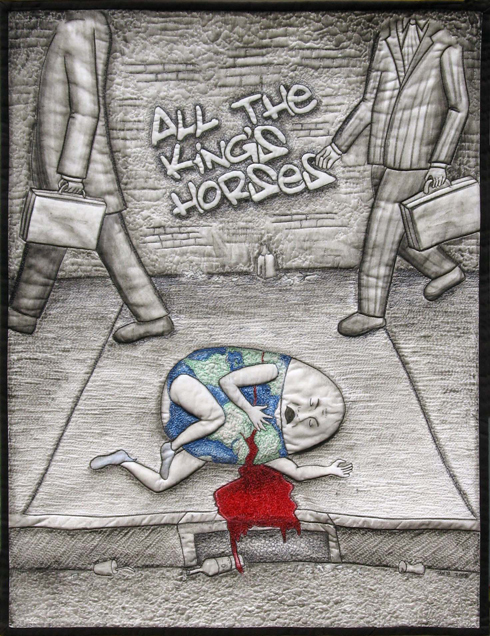 All the King's Horses was inspired by the denial of global climate change and its effects by so many around the world. In the design, a fragile egg of Earth – both literally and symbolically a vessel of the four elements – lies bleeding into the gutter as the inhabitants of a great grey city walk on without stopping to help. Perhaps they don’t even take the time to look.